As I was returning home Wednesday night from East Texas where we do a monthly program for the Nursing Home where our mother resides I incurred an incredible migraine headache. The last 75 miles was almost more than I could endure due to the headache rendering me unable fully focus along with the nausea that accompanied this type of headache. I was sick physically. I went to bed early and got up late with the same persistent headache and nausea so again I was sick physically. As I lay in the darkened bedroom I was overcome with “weeping” not because of the pain of the headache but for my country the United States of America. Although I know that God does not get sick I wondered if maybe God felt the pain for America that I was feeling from the headache I was suffering. I began to weep and that continued for most of the day as I would think about various aspects and conditions of our society, the government, and the deception that exists in this great land today. I recalled hearing a lady call in on a talk show as I traveled back home on Wednesday and she would listen to no explanation or reason as to why her particular Fiscal and healthcare situation could be directly laid at the feet of Obama. Her explanation was, “He’s black and he would never allow that to happen to me.” When asked if she thought her comments were racist she replied, “No, only white people are racist.” That made me angry initially and then incredibly sad and despondent. I thought and prayed, “Oh God, how can this be? How can anyone be so blind to their own prejudice and bias?” But, I see it virtually every day and not all the racism I hear comes from blacks I hear some from whites as well. Liberal whites living in a “guilt complex” and wanting to impose that attitude on everyone else. I also hear it from some that are on the other side and are so angry that they fall into the trap of categorizing every one of a particular race or gender in a certain manner. Racism is alive and well in far too many hearts and minds and the President has encouraged that attitude in his actions, words, and demonstrated attitude as well as that of his Attorney General. You can disagree and that is your right but that is how I see it. I see destruction of ‘HOPE’ for future generations due to the massive debt and deficit and the prospect that it is going to continue to spiral out of control to the point that we will literally be pushed over the edge of the ‘REAL FISCAL CLIFF.’ I weep for my grandchildren who, if this nation survives the next four years and somehow the Congress and the next President wakes up and begins to move toward repealing some of the incredibly destructive things that have come out of this administration, I still wonder if they will have a future. I wonder if they will, as we, look at the bleak dilemma our nation is in and begin to work to try to secure a hope for their grandchildren or great-grandchildren while realizing that there is NO FUTURE for them personally. That makes me weep! 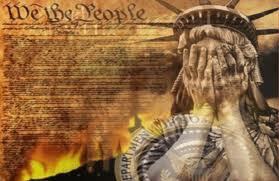 I weep when I see a President who has promised to have the most “Transparent Administration” in history become so divisive, partisan, and secretive while clearly discernible laws are broken to hide information, as well as trashing the Constitution of this great nation. I see the D.O.J. backing the President and vice-versa in ignoring the Rule of Law, the Constitution, Congress, and the American people. I see his hand outstretched in friendship to those who would destroy us and his back turned to those who have befriended us through the years. I weep! When it comes to getting control of the INSANE AND INSATIABLE SPENDING that is crippling this economy, destroying small businesses, and ruining millions of lives and hear the President declare that we cannot make a 2% cut which, is approximately what Sequester amounts to I weep! The General Accounting Office and Congressional Budget Offices have identified several hundred billion in overlaps of agencies and programs and waste that could easily be cut and he laments that the dastardly Republicans are going to cause the World to End if they do not compromise and ignore cuts but give him more revenue. When you realize that the cuts in Sequester would be less than the waste and overlap that those two agencies have identified you have to wonder what his motivation is for wanting to so deeply cut the Department of Defense while making no cuts to the EPA, HUD, or other agencies that he likes. I weep! When I hear Republicans basically agree with him that Sequester is dire and dare not take place, I wonder if there is any hope for this nation and I weep! When I hear people like Karl Rove attack the truly conservative candidates that we have elected and declare that only he and his billionaire buddies are capable of telling us who to nominate, I weep! There was a time when Democrats and Republicans alike would ask “Is this Constitutional?” There was a time when those on both sides of the aisle had at least a token interest in doing what was best for this nation and serving the people who sent them to Washington but that day seems to be gone forever and I weep! I am sick emotionally over the condition and position of our nation! I am sick in my heart when I realize how far this nation has drifted from its foundational principles and core values. I am sick when I realize that the seeming design of this administration and the left is to dismantle and destroy the opposition party, the Republicans and the Republicans playing into their hands and self-destructing. All these are things that make me weep for my nation. I dare not cease my intercession for the nation and the people of this nation. I dare not lose my confidence in God and that someway somehow the American people will do what they have done for generations, rise up and stand together and stand tall to overcome this condition and situation. I dare not lose my willingness to do whatever is required of me to help facilitate the recovery of our lost values, constitutional principles, and preserve our God-given rights, freedoms, and liberties. But, as I work tirelessly to accomplish that I WEEP FOR MY COUNTRY! May God be with you, protect you, enlighten you, encourage you, and empower you to do what He would have you do in this struggle both naturally and spiritually and may God deliver this nation! Just a few days ago I attended the memorial service for former Navy Seal sniper Chief Chris Kyle at Cowboys Stadium in Arlington, Texas. Although I had never met Chief Kyle, as a Vietnam veteran and an American patriot I wanted to attend to show my respect to a true American hero and honor his memory as a way of saying “Thank You” to Chief Kyle and all who have served, are serving, or will serve in the future. It was a very fitting service done with dignity, respect, and class. I sat and listened to the songs, the prayers, and the words of friends, classmates, Seal teammates, and his wife. As I listened I heard about a man who had managed to meld the difficult line of being a committed warrior and a committed Christian. I also heard the heart of the man himself as various ones spoke about his compassion and love for his fellow-man and especially those who had given of themselves to serve this nation. I do not know the name of the Lt. Commander who spoke about The Man, The Myth, and The Legend but his words resonated with me in a way that I will never find words to fully describe. Chief Kyle’s wife’s heartfelt words will ring in my heart for a long time and I will committedly pray for her and the children. Now for days I have had something stirring in my spirit since the service that keeps growing and crying for release. I came away from the service thinking America needs more people of the makeup of Chris Kyle. I guess another way to say it is AMERICA NEEDS LEADERS who have commitment, loyalty, integrity, courage, valor, and serve with honor. We have too many people who are in leadership positions that have none of those qualities and yet we sing accolades to them undeservedly. If I were to compare a Chris Kyle to Barack Obama the contrast would be so stark and sharp that it would be almost frightening especially when I realize that Barack Obama is President of these United States of America. From the reports that I heard during the service, Chief Kyle disregarded his personal safety on so many occasions in the interest of defending those he was charged with protecting. Barack Obama, in my view, seeks his own glorification and gratification without regard for those he is charged with leading. When I review the SEAL Code, that is relatively new, it is easy to understand why the SEALs are among if not the most competent fighting force in the world. That is such a complete contrast to what I see in this President and virtually all members of Congress in Washington. True Leaders have an unquestioned and uncompromised LOYALTY to Country, Team and Teammate. True Leaders always serve with HONOR and INTEGRITY 24/7/365. True Leaders are always READY TO LEAD and LEAD but are capable and willing to follow and have such dogged determination and commitment to that which they have been charged to oversee THEY NEVER QUIT. True Leaders always TAKE RESPONSIBILITY for their own actions rather than trying to “blame someone or something else.” They also take responsibility for those with whom they are serving. True Leaders EXCEL through discipline and innovation putting others ahead of their own ambitions or desires. True Leaders TRAIN or WORK with a commitment to defeat the enemies and obstacles of our nation. True Leaders earn RESPECT everyday they don’t just assume that it is to be given without any action or commitment on their part. America needs Leaders! We need men and women in Congress, the Courts, and the White House who demonstrate, those qualities listed above. We need people who will HONOR the Constitution, RESPECT the American people, DEFEND this Nation, and ABIDE by the Rule of Law. We need people (LEADERS) who will set aside their personal ambitions and egos and strive to be what they were elected to be, PUBLIC SERVANTS. I am now praying specifically that God give us LEADERS who embody the characteristics described in the NAVY SEAL CODE. God give us men and women who will HONOR God, LIVE BY the Constitution, and ABIDE BY the Rule of Law ethically, honestly, with integrity and honor. Give us that and America will rise to greatness again. Take that from us and this nation will fall into a deeper state of depravity and go farther and farther away from the foundation upon which this nation was established. God it is my prayer that you bless each person and guide this nation back to the path upon which you would desire us to tread sending us the LEADERS needed to bring us to that place. In so many situations that defines and describes the sitting President of these United States not only now but back when he was a member of the State House in Illinois and while in the United States Senate where he was oft found to vote PRESENT rather than take a stand. ABSENTIA – is Latin for ‘in absence,’ or more fully, in one’s absence. 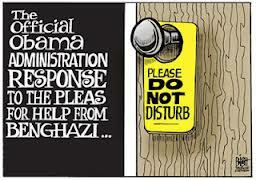 In the case of Benghazi and the attack on our embassy, the death of our ambassador and three other individuals including former Navy Seals he could only be referred to as “Commander-In-Absentia” because HE WAS NOT PRESENT and NOT INVOLVED in handling the matter as it unfolded. I don’t just think that I take it from the testimony of the current Secretary of Defense in testimony given UNDER OATH to the United States Senate. When Senator Kelly Ayotte (R-NH) asked Leon Panetta if he had direct communication with the President after their “pre-scheduled” meeting at 5 PM EDT, he said NO. The assault on the consulate had already been underway an hour and a half by that time. Panetta acknowledged that neither the President nor anyone else from the White House called afterward to check on what was happening. Mr. Panetta said, “The Commander-in-Chief” left it up to us! I am quite sure that Constitutional Law requires the President to give the orders militarily that would have been required but he was nowhere to be found. 1. Were those directives actually given? 3. If they were they must have been long after the attack not during the actual events. Senator Ted Cruz of Texas secured admission from both Dempsey and Panetta that they were not in touch with Secretary of State Clinton during the attacks and received ZERO HELP from the State Department. They even expressed surprise at Secretary of State Clinton’s testimony UNDER OATH that she did not know about an URGENT CABLE from Ambassador Stevens last August about the seriousness of the situation. Senator Lindsey Graham (R-SC) received an admission from Panetta that no military action whatsoever had been ordered leaving the consulate on its own in the attack that lasted more than five hours. When Senator Marco Rubio (R-FL) quizzed Deputy National Security Advisor John Brennan about why the administration did nothing to question a suspect he was told that Tunisian authorities had arrested the suspect and there was no provision in Tunisian law to allow the United States to question him. I do believe that we could have exerted enough pressure on the Tunisian government to elicit their cooperation in this matter had we desired to do so. It is incredibly clear to me that Barack Obama the President of the United States of America for whatever reason did not care enough about the people in the embassy to be involved and take steps to protect and defend our consulate, which represent the United States of America itself. Obama did NOTHING. Clinton did NOTHING. The Chair of the Joint Chiefs of Staff did NOTHING. The Deputy National Security Advisor did NOTHING. Not only did they DO NOTHING but they spun a lie to cover their FAILURE because the ELECTION was more important that our embassy and the lives of our citizens in Benghazi. That is more than dereliction of duty it is criminal and treasonous, in my view! Yet, sadly it seems that nothing will be done to HOLD THE PRESIDENT ACCOUNTABLE for his FAILURE in this or any other situation. God help us! America and Americans if we do not exert enough pressure on our elected officials to get them to act we have LOST THE REPUBLIC. I know many will tell me too late we already have but I must maintain a shred of hope that we can find enough men and women who are honorable and willing to follow the Constitution and the Law and DO THE RIGHT THING! Mr. Obama, I try to respect you but you make it impossible. I do respect the Constitution, the office of the President but your actions are reprehensible to me and I have and will continue to call for my Senators and Congressman to take the necessary action to see you not only removed from office but tried for your crimes. DISRESPECTFUL AND INCONSIDERATE THE NEW NORM? I believe that our society has declined to the point that the “new norm” of behavior is one of being DISRESPECTFUL and INCONSIDERATE. I also believe that there are thousands who are totally shocked when they confronted with their own participation in that “new norm.” There is a VERY HIGH COST in allowing our interpersonal and other relations decline to this point and I would like to point out some of the ways that I believe we are practicing this “new norm” and the “penalty” or “repercussions” that result from such behavior. I write this with a broken heart for God’s people, our nation, and with a deep sense of shame that I too have been guilty, at times. Frequently it appears that too many of us are not willing to give someone the benefit of the doubt before rendering judgment. We react without the facts to support our reaction and demonstrate incredible DISRESPECT for that individual. Likewise we demonstrate the IT’S ALL ABOUT ME attitude in simple things like highway driving when we refuse to allow someone to merge in front of us when we easily could. At the checkout, stand when we notice someone with only a couple of items and we have a basket full we press forward without considering that by allowing them go to in front of us they might enable them to complete what could have been an urgent shopping event and get on with what their day held for them. Husbands and wives too often fail to consider the needs or even desire of their partner and focus on WHAT’S IN IT FOR ME? On the job, from both directions, ITS ALL ABOUT ME more than what is best for the company or others around me including the customer. Even in the matter of financial obligations we sometimes fail to take proactive steps to insure that the debt is paid or there is an explanation as to why there is a delay, instead waiting until the collector harasses us. In the Church, I’ve noticed through the years that a large portion of the congregation feel that the purpose of the church is to MEET THEIR NEEDS rather than what Jesus declared with regard to spreading the Gospel. In our own personal spiritual relations with God we will demand or complain about not receiving what we asked for at the time we asked it without considering that God’s higher purpose might involve a delay or even a denial to our request. Those are some simple and often minor examples of demonstrations of DISRESPECT and being INCONSIDERATE. To me, it would be the same as to entering someone’s home, propping your feet up on the coffee table and saying “Get me something to drink and something to eat.” Or walking into a local congregation and taking over the service, declaring that “this is the way we are going to go” without channeling it through property God-assigned authority. Can you imagine going into a place of business and stopping production of an item, presenting your item as the thing to be produced without the management agreeing that this is the way to go? 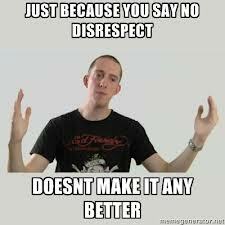 It would not only be rude, disrespectful, and inconsiderate it would get you thrown out on your ear and rightfully so. This type of attitude suggests that you believe you have the right to hijack someone else’s social media page, church responsibility, home, or business and suggests that you believe your idea or opinions are the only ones that have validity; therefore the right ones to be presented. It is disrespectful and inconsiderate. Your ideas, links, posts, etc. may be honorable, right, truthful, and even good but if they are presented without giving the proper RESPECT and CONSIDERATION to those whom the space, the home, the business, or the church either belong or fall within their sphere of responsibility and authority it is GROSSLY DISPRESPECTFUL but seems to be the ‘NEW NORM’ in today’s society. We see this in our politicians when they disrespect the Constitution, the rule of law, and the will of the people. We see this in business when the customer is treated as a necessary evil, the employee is a dispensable tool, and the boss or management is the enemy. We see this in relationships when the other party’s desires, wishes, and feelings are relegated to non-importance by our actions. We see this in so many facets of life that it is incredibly alarming to me. The cost of this is that we will produce and are producing a generation who see this as NORMAL. You do not matter if what you want interferes with my objective, thoughts, desires, ideas, or plans. The result is that we develop a society in which it is EVERY MAN FOR HIMSELF and everyone BECOMES A LAW UNTO HIMSELF and at that point we have anarchy and are a million miles from God’s Word, Will, and Way. I know that from an early age I was taught to consider others above myself and so were most of you. The vast majority of us were taught, from early years, to RESPECT OTHERS, their space, property, and rights. Yet, today’s ENTITLEMENT SOCIETY has adopted a philosophy that says – I DESERVE IT. You owe it to me or I have a right to say and do whatever I please whenever and wherever I please. That results in chaos and a total lack of cooperation and a complete disintegration of trust which is essential for a functional society. Regarding Social Media my experience has been that people continually add me to groups without my permission or without asking me to consider the group. That is grossly disrespectful and inconsiderate. No matter how often I ask that it not happen it continues to happen and some will get angry when I do what I always do – LEAVE THE GROUP. It may be one of the best and most noble groups in existence but if you add me without first asking me if I’d like to participate I consider that a gross demonstration of disrespect and inconsideration and will IMMEDIATELY LEAVE THE GROUP. I would NEVER go to anyone’s wall and post a link, an article, or anything else without first asking them permission or asking them to review the information and see if they wanted it there. Doing otherwise is disrespectful and inconsiderate not to mention incredibly rude, presumptuous and arrogant. Your information may be fabulous but you did it in the wrong way. I will do as with groups – DELETE your post if you do that. I see this as a sign that those who function in this manner are presumptuous, self-willed, and demonstrating a lack of respect for others. It is most definitely, in my view, incredibly inconsiderate. That is a spiritual as well as a moral problem which is becoming a societal problem. Although the perpetrator might not view such action as problematic – IT IS and should be addressed. Only you can address it in your life. Take it before God and I believe that He will confirm what I am saying. We need to work at being more RESPECTFUL and CONSIDERATE of others in our lives and interactions. If I post something on Facebook you are more than welcome to say whatever you please (as long as you are not vulgar or make personal attacks on my friends). I made it as a public statement and it is fair game. But to post links, add to groups without asking, or other types of posts other than the common social media interaction communications is INCONSIDERATE, RUDE, and DISRESPECTFUL. I WOULD NEVER do that to you and ask that you not do it to me or anyone else. It is a flaw in our society that is costing us our ability to develop the type of Society that Jesus designed and desired as well as the type of Society where consideration, respect and moral decency prevail. I believe that is one of the reasons that we see many of the violent acts of today – THE LACK OF RESPECT AND CONSIDERATION FOR OTHERS. Sadly, we have an entire generation that has witnessed this type of behavior from leaders, parents, and other segments of society so they see it as THE NORM and think nothing about conducting their life in that manner. It is, to me, a key cog in the decline of the American and even World Civilization and something that even in the small and seemingly insignificant areas we should work to overcome. Let’s all strive to be RESPECTFUL and CONSIDERATE. We can disagree without being either. We can have robust and even animated discussions about our disagreements without either of those elements. We can have an open dialogue that is both RESPECTFUL and CONSIDERATE and in that atmosphere I believe we can come to some concrete conclusion as to the real problems and real solutions that we are facing individually and collectively. Thank you for allowing me to have my rant and may God bless you is my prayer and may God protect, defend, and guide this nation. Taking from the Secretary of State Hillary Clinton in her tirade when asked a difficult question about real human lives lost in their mishandling of the Benghazi situation she responded angrily “The fact is we had four dead Americans. Was it because of a protest? Or was it because of guys out for a walk one night who decided they’d go kill some Americans? What difference, at this point, does it make?” That prompted me to do some introspection and reflection on the world, the Bible, my life, my faith, my country, and our current world. Let me share my reflections. The fact that we have “four dead Americans” causes it to matter, AT THIS POINT or AT ANY POINT now or 100 years from now. The fact that the evidence appears to indicate that the President, Secretary of State, and other officials of this administration dropped the ball in this situation makes it important. Did they do this willingly, with forethought and malice, I don’t know but it happened and as a result we have “four dead Americans” and many others placed in harm’s way then and in future situations. We demonstrated an incompetence that will energize the terrorists who desire to bring harm to American citizens and American facilities throughout the world. The end result, the way the subsequent reporting was handled, and the continual ducking of tough questions makes this look bad and for national security reasons IMPORTANT! If this administration failed to respond to repeated requests from this embassy for beefed up security it makes a difference! If this administration presented outright lies or was so blatantly misinformed in the hours, days, weeks, and even months after the fact as to what really happened it makes a difference! If ignoring the data that suggested that this embassy was in danger of becoming a target and the requests for additional security can be laid at the feet of Secretary of State Clinton or President Barack Obama it makes a difference. It is the moral and constitutional obligation of members of the Senate such as Senator Johnson to ask the tough questions in an attempt to get to the “root cause” and find “real answers.” To do less is to be complicit in what took place and endangers Americans in every part of the world. 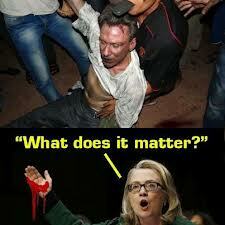 So, Secretary of State Clinton IT MATTERS! This administration has stonewalled virtually every investigation that could potentially place the President, Eric Holder, or anyone within the administration in a bad light. Basically, Hillary Clinton was echoing in words what Barack Obama and Eric Holder have been doing in actions when she asked, “What difference, at this point, does it make?” She was only following the script of the Obama administration. I would expect nothing less from her or anyone else in this President’s crowd. He has set the tone and provided the script and they are just playing their roles. It is up to us as citizens and members of Congress to press the issue to the point that REAL ANSWERS to TOUGH QUESTIONS and provide THE TRUTH! As a combat veteran, a patriotic American citizen, and a believer in the Constitution of the United States of America knowing how this administration handles things I WOULD NOT SERVE in an embassy today! When you consider actions such as “Fast and Furious” where our own government put in the hands of drug cartels weapons, I would be hesitant to serve. We still need real answers as to WHY this was done and HOW FAR UP THE FOOD CHAIN this goes, but we get by their actions – “What difference, at this point, does it make?” In my opinion, they have demonstrated that human life means little to them. It is my view that they believe that the end justifies the means and that their agenda is more important than TRUTH, THE CONSTITUTION, THE RULE OF LAW, or AMERICAN LIVES. So, if I were in a position to have to choose prison or serving in an embassy I would refuse to serve knowing that I would have to be disobedient to direct and specific orders regarding preparedness and defense of the facility and personnel there. I would have the same opinion I had when I overhead an officer instruct a sailor on the pier in Da Nang that he could not put his clip in his rifle unless or until he was fired upon. I stepped in and told both the officer and the sailor – “Seaman, you can do what you wish but I would disregard that order as soon as he walks away and lock and load my weapon.” I further stated, “Sir, you know that order is absolutely ridiculous and should never be given because by the time he is fired upon he will have ZERO chance of loading his weapon, thus you are giving him a death sentence and therefore I believe that your order is an illegal order.” He agreed with me but stated that he had no choice but to give it. America deserves better than what we are getting from this administration and I will double and triple my efforts to get my elected officials to turn up the heat and be dogged in their pursuit of THE TRUTH in these situations. I believe that it is our moral obligation to find out what really happened and the blood of those who have fallen is crying from the ground for answers. Few things have so disturbed me as the statement of Secretary of State Clinton, the actions of this President and his administration on things like this. This is America, we have a Constitution, and are a nation of laws it is time that Congress and the Courts hold them accountable. If they do not it is time that we hold Congress and the Courts accountable! IT IS UP TO US TO PRESS THIS ISSUE TO THE CONCLUSION! May God bless you and may God protect and guide this nation!